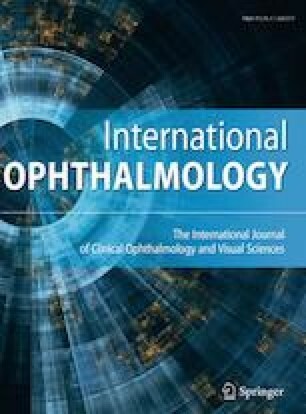 To demonstrate the anatomical development of the human macula using handheld spectral domain optical coherence tomography (SD-OCT) during the first 5 years of life. This study is a cross-sectional, observational case series. Thirty-five normal eyes of 35 full-term/late preterm infants and children under 5 years of age were included. Handheld SD-OCT was used to image the macula of each eye. The data were analyzed using the Duke OCT Retinal Analysis Program v17 software. Retinal thickness maps were generated for the total retinal thickness (TRT), the inner retinal layers thickness (IRL), and the photoreceptor layer thickness (PRL). Based on the early treatment diabetic retinopathy study macular map, average thickness measurements were taken at 4 circles centered on the fovea (diameter): the foveal center (0.5 mm), sector 1 (S1) (1 mm), sector 2 (S2) (3 mm), sector 3 (S3) (6 mm). The median age at participation was 24 months (range 5–52 months). The TRT increased throughout the first 5 years of life, and this increase was statistically significant at the foveal center and S1 (p = 0.01, p = 0.016, respectively). The IRL did not show any significant change in thickness from birth and throughout the first 5 years of life. The PRL thickness showed thickening in the first 24 months of age at the foveal center and S1 which was statistically significant at S1 (p = 0.066, p = 0.016, respectively). Interestingly, this PRL thickness increase plateaus beyond 24 months of age. The photoreceptors inner segment/outer segment (IS/OS) band was identified as a distinct layer in all our subjects. Our findings conform with the literature that the anatomical development of the macular IRL completes before 5 months of age and hence before the PRL. We also identify 24 months of age as an important developmental milestone for photoreceptors development in the human macula. Authors acknowledge the University of Toronto, Ophthalmology research funds committee (ORFC) at the hospital of SickKids for their sponsorship, Cynthia VandenHoven for her help with imaging, Duke University team for the software analysis, and Xiuyan Zhao for the statistical analysis.